Want the sound system of your dreams and can’t wait? We now offer payment options through Progressive Leasing. Enjoy your car stereo today with no credit needed and a 90 day payments options. POOR CREDIT? NO CREDIT? NO PROBLEM!! Apply here with no credit needed! 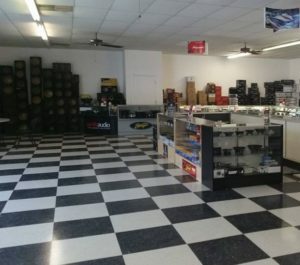 Our car stereo store and installation shop is massive. Check us out today! Come in today to fill out an application. Get instant decision while you wait.